Yellowback was founded by editor Madeleine Hatfield (who can also be found @maddyhatfield). Before Yellowback, Maddy was managing editor of academic publications at the Royal Geographical Society (with the Institute of British Geographers) where she worked in partnership with Wiley. Maddy set up Yellowback so she could enjoy the chance to work with a wide range of authors, publishers and organisations. Maddy's academic background (she has a PhD from the University of London) means she is adept at dealing with scholarly writing but she has also worked on fiction books, memoirs, professional manifestos, websites and blogs. Maddy's aim with Yellowback is to facilitate the clear and accessible communication of all kinds of writing, so that authors can really engage their readers in their story, whatever its format or subject. 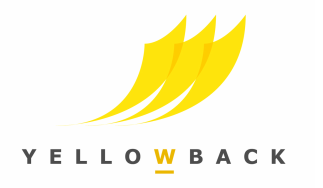 She is supported by a small team of specialised freelancers to make sure Yellowback can always offer its clients the best possible service.